On 3 consecutive weekends following the de-rig last month repair work was carried out on the targets in situ. Sunday 4 November saw the completion of work to replace as necessary the rubber envelope on all 6 targets. It is hoped that no further rubber replacement will be required for at least the next 2 seasons. Within 3 weeks of the de-rig last month the major part of the annual target maintenance has been accomplished. This is a happy position for us all. Thanks are expressed to the volunteers who ably assisted John and Richard in the work. 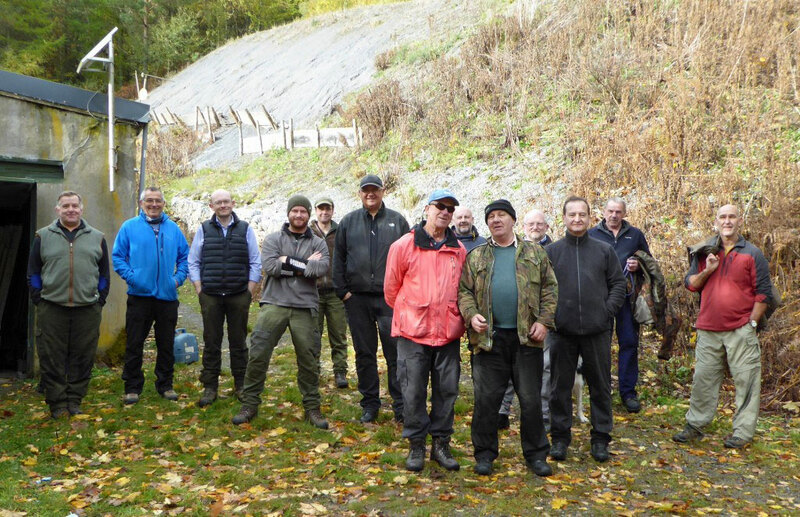 A healthy turn out with thirteen shooting and a few others who turned up simply to work. The weather was benign and some very good scores were made, probably because they did not count for any competition. All planned work to shut down the range was completed in good time. 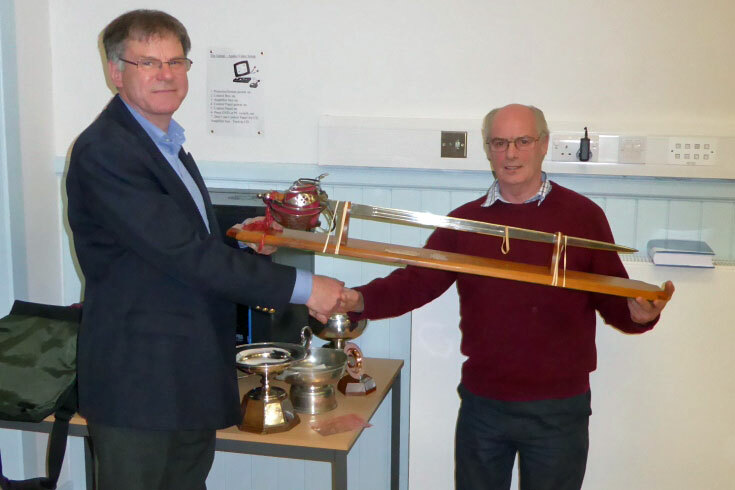 Two teams took part in the competition, West Atholl Rifle Club and West of Scotland Rifle Club. The weather was kind with a mainly dry day, light winds at 500 yards and a little more frisky at 600 yards. The competition used targets 4 to 6 and so targets 1 and 2 were used by our TRF and F class members who shot alongside. Competition was based on the best six scores from each team. 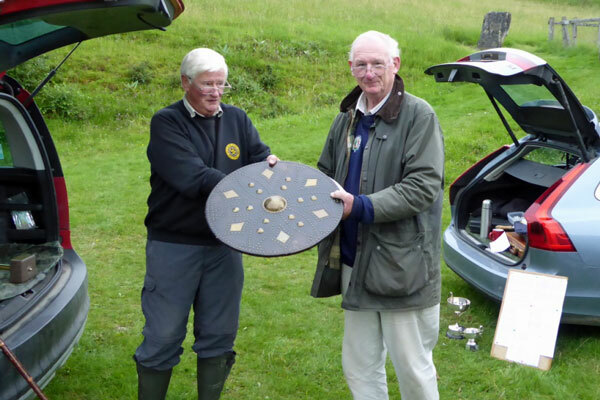 West of Scotland Rifle Club won the match with a score of 868v114. 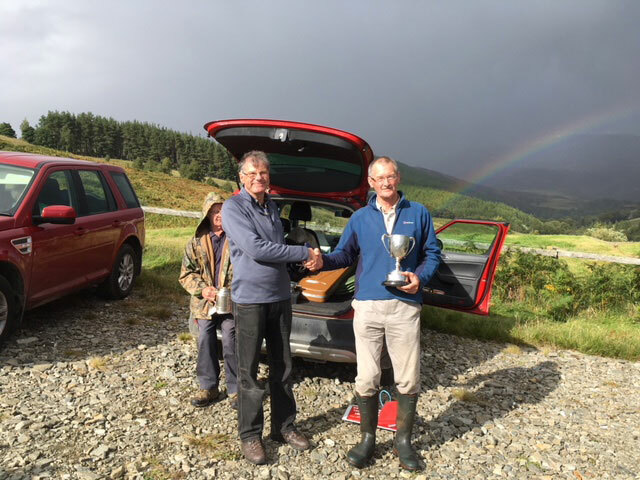 West Atholl Rifle Club were honourable runners up, with a score of 859v80. 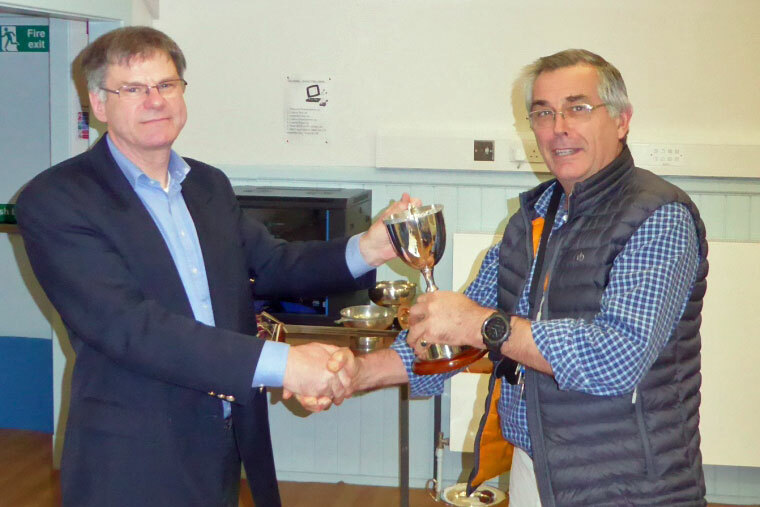 Top score on the day was made by Tim Kidner (WARC) with 149v16, followed closely by Ron Scaglione (WOSRC) with 148v22. There was an additional prize this year for the competitor with the highest V count. This was won by John Potter with 23v one V ahead of Ron Scaglione. 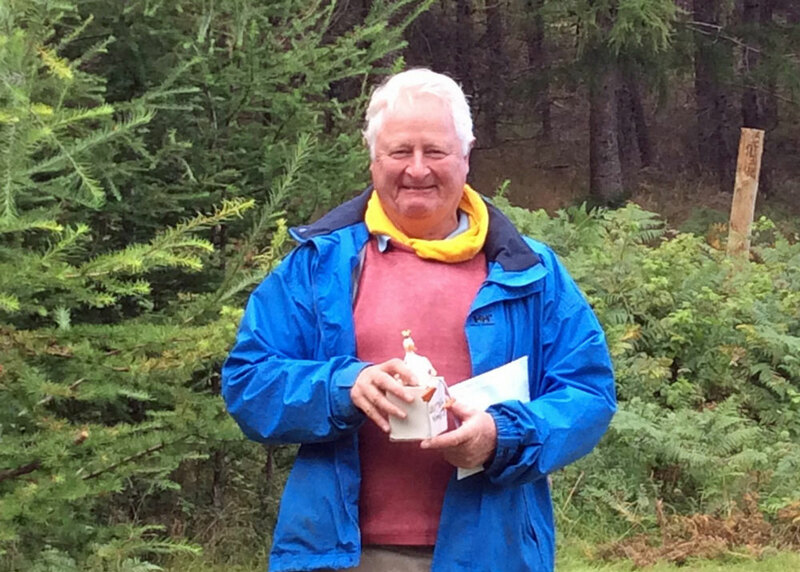 Although officially The Buchanan the Clan Chief he will always be Mike to his fellow club members. 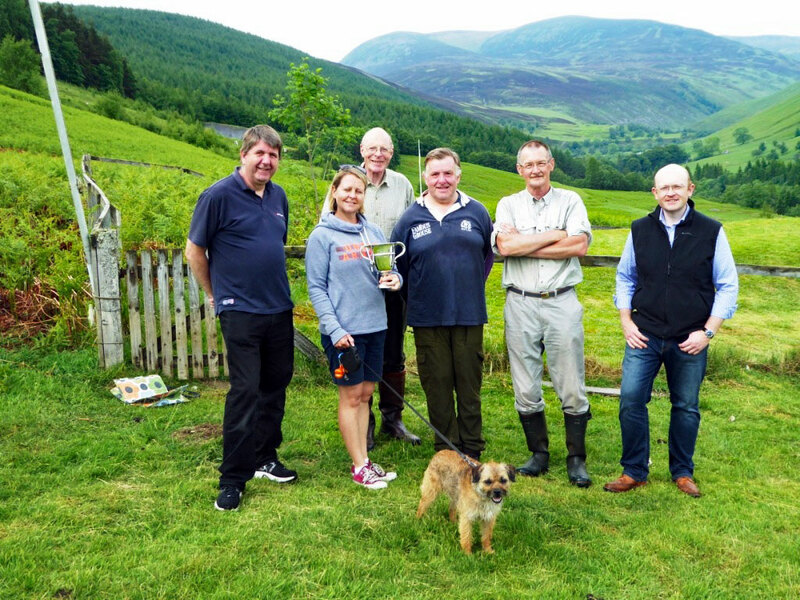 As a result of the changes following the creation of Scottish Target Shooting which has taken over as the governing body in Scotland for the target shooting associations, the 'Scottish Rifle Association' website has now closed down. 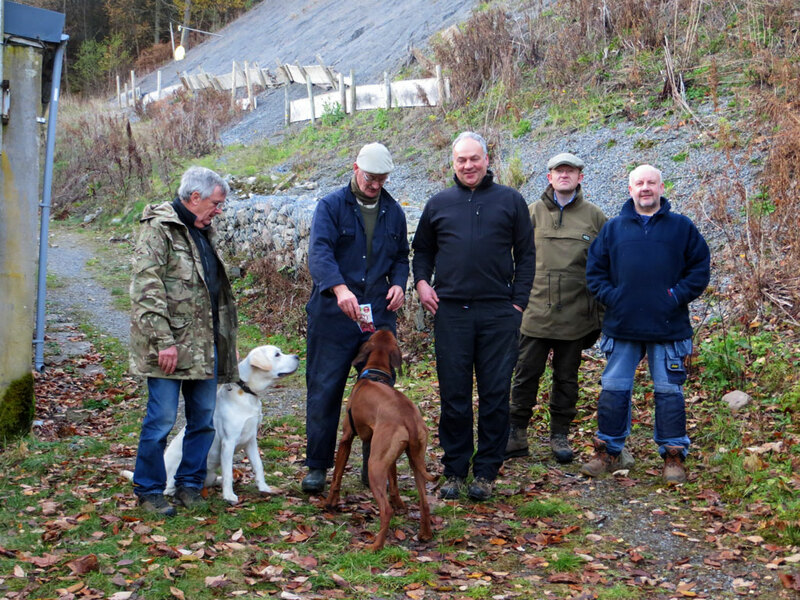 Most of the ongoing information and entry forms for fullbore shooting events are now available on the STS website; www.scottishtargetshooting.co.uk. 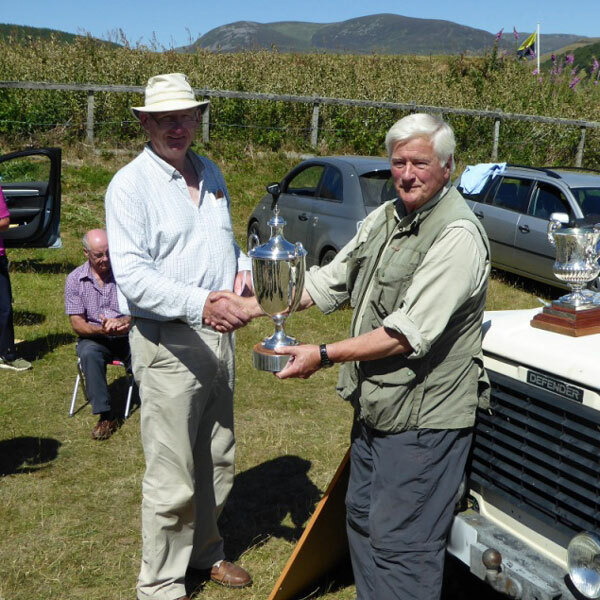 However we have a lot of historical results of SRA and Regional Championships and Scotland team matches going back to the year 2000 which will be held on the West Atholl Rifle Club website and this will be updated with the results of future Scottish Championships and team matches. 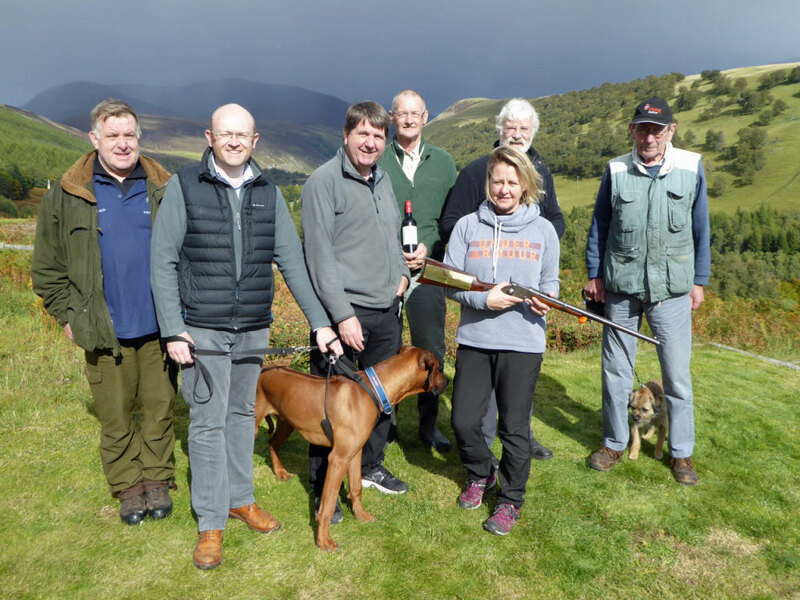 We are very grateful to the West Atholl Rifle Club for allowing us to store this information on their website which will provide continuing access for members to see the historical and future results for Scottish events. Jim Brown (web master for both web sites) has transferred all of the SRA web pages (2,399 files) and updated all the page headers to the new SRA - Archive hosted on the WARC web site. A new side bar link is now active (on the left of the WARC home page). 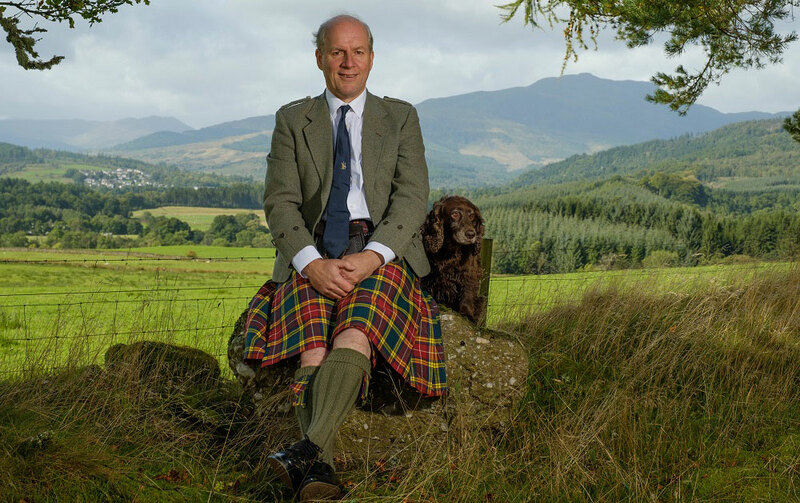 Jim has reminded us that although the SRA web site has now closed down, the original domain name 'www.scottishrifleassociation.org.uk' will still be active in that it will have a re-direct to the new pages for now. Seventeen members turned out to our rigging day, who successfully reinstated the targets and fitted the two new gazebo canopies kindly supplied by the NRC of S. Weather was fair, bright after a misty drive up, but not too cold. Snow line was about half way down the surrounding hills with none on the range. We then had a practice shoot from 400 yards and everything worked almost as expected, except for the monitors only displaying ten shots at a time. The monitor settings will be corrected at the next shoot to display all shots. We are starting this season with the latest version Signal Distribution Unit and a complete set of new monitor connectors and cables. Water supply to toilet will be restored at the next shoot. Many thanks to all who turned out to help and to Richard Scott for his good work over the winter, rebuilding the SDU housing and replacing the monitor connectors.